This original collage is made from a variety of papers. After all, that's what collage is, isn't it? It is titled 'Trying To Be Flexible'. 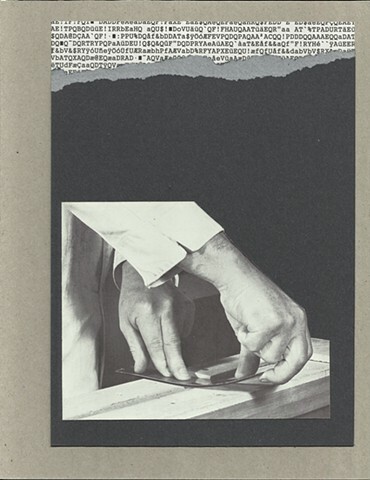 I was very intrigued by the photo of the working hands that I found in an old book about working with plastics. It is a rich resource, and there is more to come.